Kim Waugh Racing Stables :: Judge Judi Bolts in at Gosford on Thursday! Judge Judi Bolts in at Gosford on Thursday! 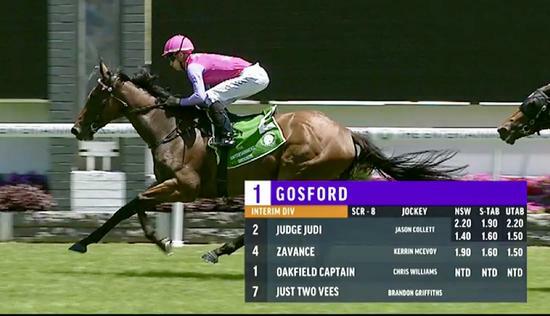 Recent stable aquisition Judge Judi atoned for her unlucky first-up 2nd placing with a dominant win in the C2 mile handicap at Gosford on Thursday. Jason Collett was pretty to watch as he strolled over from an outside barrier on Judi to settle in front and rated her to absolute perfection in the lead, which left her with a strong kick as they turned for home. With ears pricked forward she coasted to the line to score by 1 1/4 lengths. 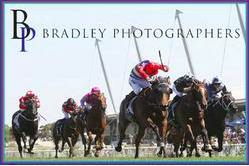 The stable's other runner on the day Joy For Us was very stiff not to have finished closer than her official 5th. The mare missed settling in a nice spot early and was forced to go right back to last from her wide gate, in fact at one stage she was 3-4 lengths off the second last horse. Asked to improve by her jockey around the outside of the field Joy For Us reeled off some impressive final sectionals to be beaten only 1 1/4 lengths and is definitely one to watch from the stable next start.